All Out for Aderonke on 11th April! 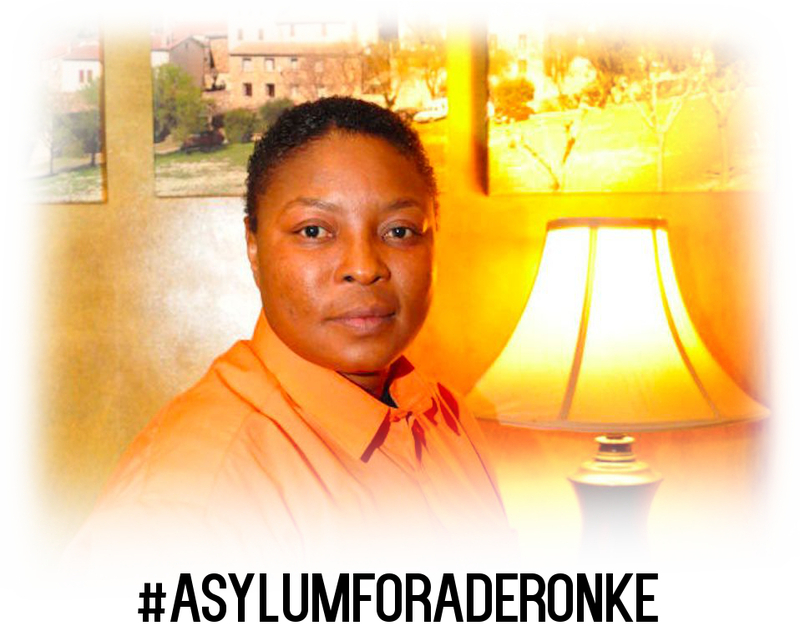 Aderonke is a LGBT and human rights campaigner from Nigeria who has spent 10 years seeking asylum in the UK. She has fought tirelessly for equal rights for everyone and against injustice everywhere. Now she needs your support. On Friday 11 April we will be holding demonstrations in both London and Liverpool to hand in to the Home Office Aderonke’s petition which has received an amazing 24,000 signatures. Please come along and show your solidarity and spread the word! Feel free to bring whistles, placards, banners etc. Make it loud and colourful!